Innovative pre-applied materials, developed and manufactured in-house since 1955. Servicing a wide variety of industries including automotive, electronics, aerospace, appliance, and many more. Choose ND Industries for all your pre-applied fastener needs. When safety and quality matter, turn to ND Industries for engineered solutions to all your locking and sealing related problems. 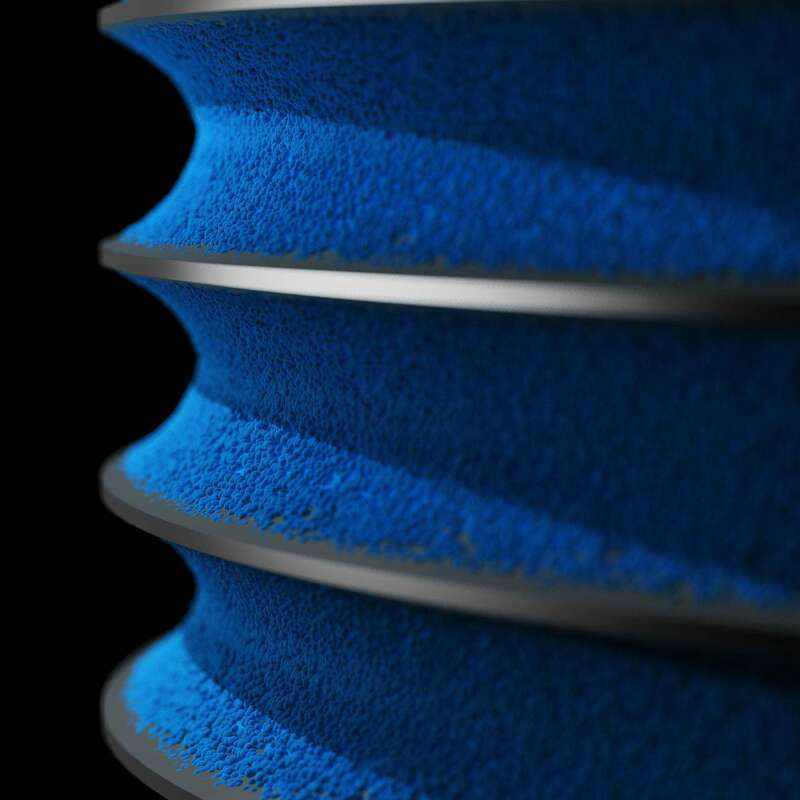 Our knowledge and expertise in the pre-applied fastener industry is second to none. Fastener failure can compromise even the best designs. The strongest pre-applied threadlocker available on the market. Expands 20-50% on installation, penetrating gaps in fastener threads. Works especially well on inert metals such as brass or stainless steel and under-sized threads. The highest temperature patch in the industry. The chemical structure of ND Patch Hi-Temp allows it to be applied at a low temperature protecting the fastener finish, yet able to withstand up to 500°F. ND Industries is a manufacturer of solutions for locking, bonding, sealing, masking, lubricating, and assembling fasteners. 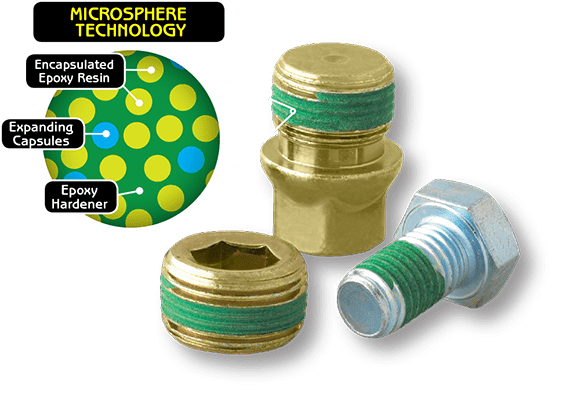 ND pre-applies any of a wide selection of custom manufactured materials onto fasteners, so that they are ready to use at the point of assembly. This results in reduced labor costs, time savings, and quality assurance for our customers. As a fully integrated company, we do it all. 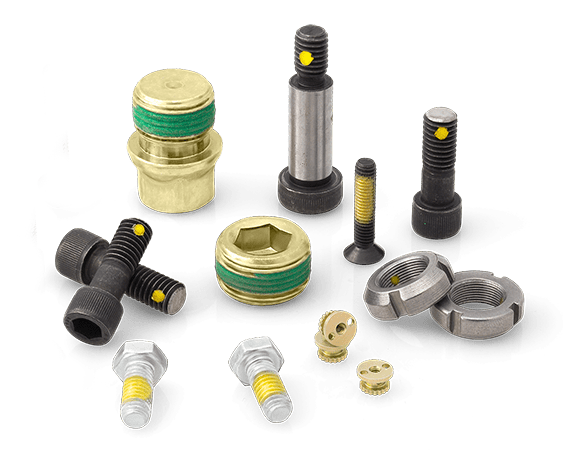 We make the materials, build the application equipment and handle all aspects of operations from formulating custom chemical compositions and coating fasteners to providing advanced in-line inspection, packaging and delivery services. Find out how we can assist you on your next project. As a family owned business, our goal has always been to provide customers with unmatched personalized service and support. Knowledge gained as both an applicator and a chemical manufacturer gives us extra insight and control over how to meet even the toughest requirements. Our processing divisions deal directly with regional customers and pride themselves on their quality and delivery. Our sales and R&D staff will help you find the right pre-applied process to meet your performance specifications. Once a selection has been made, have your fasteners shipped to one of our worldwide processing centers. Utilizing custom, high-speed equipment, we apply the necessary materials to your exact specification. Once processing is complete, parts are shipped back ready for distribution or assembly. LEARN MORE ABOUT PRE-APPLIED +. Download Material Safety, Technical, and Process Data Sheets for ND chemical materials. Compliance and quality certifications for corporate, support, processing divisions, and licensees. Learn about ND's NAS & MS Fastener products and search for available parts in our inventory. Compare side by side the main performance features of each ND Pre-Applied process. Cross over ND Pre-Applied materials to competitors. Each listed by type and material series. Automotive, Military, Aerospace, and OEM specifications / standards listing for each ND process and material. Founded in 1955, ND Industries develops and supplies high quality fastener coating products and services to a wide variety of industries. Did you know we also manufacture a full line of bottled adhesives and sealants? Check out our Vibra-Tite products for cost savings up to 50% over name brands.